Baldur’s Gate fans Sure to be pleased to know that the game’s developer Beamdog has announced a new game called Adventure Y, that has been created to bridge the gap between the iconic Baldur’s Gate 1 and Baldur’s Gate 2 games. A few screenshots of the new Beamdog Adventure Y have been shared that were taken using a smartphone so don’t provide a full representation of the graphics you can expect. The new game is being created using the Infinity Engine but unfortunately no official release date has been announced as yet, and is expected to be announced sometime during late Spring says the team. “This year, the eagerly anticipated Adventure Y will finally navigate the dark underground caverns of development and venture out into the Sword Coast. We’ve mentioned before that Adventure Y will be an addition to the Baldur’s Gate line using the Infinity engine, bridging the gap between Baldur’s Gate: Enhanced Edition and Baldur’s Gate II: Enhanced Edition. “We got a lot of questions about Dungeons & Dragons fifth edition and a potential Baldur’s Gate III on our reddit AMA. 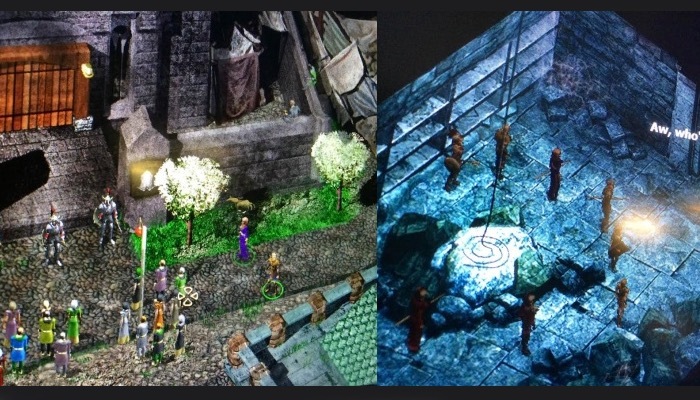 We’d be lying if we said we never think about doing a Baldur’s Gate III game, so we won’t say that. But we will say there’s nothing in the works yet regarding BGIII or a 5th edition game. For more information on the new announcements by Beamdog jump over to the BeamBlog website for details.